In this week's Money Made Easy, financial adviser Dan Danford answers this financial question from a viewer: I think tax rules change from year to year, so what are the big tax changes I should be aware of this year before filing? Danford, MBA, CRSP, of Family Investment Center, says the real way to save money on taxes isn't really about how you file your tax return, but how you structure your financial life as you are living it. 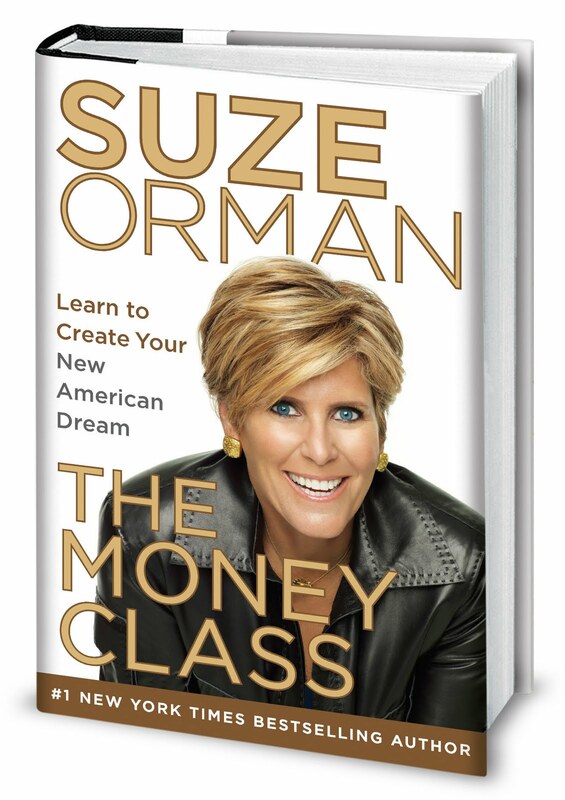 Suze Orman is a two-time Emmy Award-winning television host, New York Times mega bestselling author, magazine and online columnist, writer/producer, and one of the top motivational speakers in the world today. Orman is undeniably America’s most recognized expert on personal finance. In this book Orman dismisses the old American Dream stating, "It used to be more, bigger, best. Everybody in America used to define themselves by all these things they had around them. And all of a sudden it came tumbling down. So the old American dream has died, and that is a good thing." "It's a dream where you actually get more pleasure out of saving than you do spending. It's a dream where you live below your means but within your needs. You are not spending every penny, you are not impressing people. You are living a life where you can sleep at night and you are actually happy." However, like all gurus, Suze makes blanket statements that may not apply to everyone, like Orman dismissing the need for investment advisors. 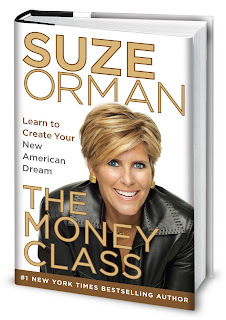 "When a member of the audience asked her how to find the best financial advisor, Suze responded, 'Look in the mirror.' I agree that we can and SHOULD educate ourselves about finances. But let’s face it – some people could read a thousand books about investments and financial planning and still not feel confident they’re managing their money properly. This is why they hire professionals – people who spend each day researching, evaluating clients’ portfolios, and reading about economic trends, new fund managers, and how a natural disaster in Japan or political turmoil in the Middle East might affect investments stateside. Most people don’t have that kind of time or energy to devote. We do." "When you hire someone to help manage your portfolio, you communicate with them and stay involved. By understanding what your advisor is doing for you and how you benefit from institutional pricing you will be able to choose the right advisor. People want to spend their time doing what they’re best at and enjoy the most. Most of us would rather pay someone to do what they do best. I could learn to change oil in my car and check other things under the hood but I’d rather pay someone else who knows a lot more about it to get it done right and save me time and frustration." Look for ways to consolidate family investments. I know you’ve heard the conventional wisdom about avoiding one basket for all your “eggs.” Yet, it’s easier than ever to adequately diversify investments within one account or institution. We routinely diversify accounts – some with extremely high balances – in ways to protect our clients. As a safety measure, we select diverse portfolio managers, market sectors, and institutions (for bank deposits). Consolidation pays another high dividend, too. You receive just one set of statements each month and one set of tax reports each January. Later this month, when you are deluged with statements (or waiting for a straggling 1099), think how nice it would be to have just one source for all these documents! The last benefit of consolidation is most important. By combining accounts, you present a much fuller image of overall finances. Whether you hire a professional advisor or manage your own investments, it’s easier to devise, implement, and evaluate strategies when you look at the big picture. Which account types are best for taxable investments? Which are best for tax-free? Is there a good way to organize retirement distributions from IRA, annuity, or pension accounts? Our goal for clients is fairly simple. We work with them to organize and supervise investments. In my experience, families do better financially when they simplify all investment processes. Consolidation is one good (and easy) way to accomplish this goal. -Stephen M. Pollan with Mark Levine, Live Rich, Harper-Business, New York. Isn’t this freedom an absolute truth? People don’t crave money; we crave freedom. Our personal picture of wealth isn’t leisure or sloth. Instead, we seek freedom to pursue things that mean a lot to us (including, occasionally, leisure). Good things, mostly for our family and friends. To me, money is just a tool that helps us achieve these important goals, Used properly, money creates freedom. 1. What are the fund’s expenses? There is a significant correlation between fund expenses and long-term returns. The internal expense ratio is a compilation of various management and portfolio expenses. Different kinds of funds may cost more or less to operate. But, the fund you pick should be at or below the average for funds of its type. 2. What is the turnover rate? High turnover rates (more trading in the portfolio) are expensive. This, in turn, increases the expense ratio. Besides that, stocks or bonds sold at a gain may generate a taxable distribution later in the year. Shareholders prefer not to pay taxes on these capital gains distributions, so funds with lower turnover are popular for taxable accounts. 3. What is the investment style? Performance tends to follow sectors. So, when small cap value funds prosper (not lately), most funds managed in this style will prosper, too. It helps to know each fund’s style in building a diversified portfolio. Funds that drift often arrive at a hot sector too late in the game. 4. Who manages the fund? Not the fund family, but the actual portfolio manager. How much experience do they have? Are they responsible for past performance, or has that portfolio manager moved on to better things? 5. What is the fund’s policy towards holding cash? Cash (in the form of short-term government bonds) is a drag on stock portfolio performance in rising markets. It also provides a cushion when they fall. Who should make strategic cash calls? In general, I’d rather have all stocks in the fund and hold cash (if any) on my own. 6. What are the returns? Compare fund returns with similar investments and time frames. Look towards other funds with similar objectives before deciding whether to buy or sell. Seek good longer-term performance. No one knows what the future holds, so every investment choice, in that sense, is a guess. But we can stack the odds in our favor by making reasoned, informed, choices. What qualifies someone for "head of household" tax status? Do you have to claim a child as a dependent to qualify? What if you don’t have children but are the primary wage earner in a cohabitating relationship? Danford, MBA, CRSP, of Family Investment Center, explains the difference between tax filing statuses and the rules required to qualify as a "head of household." 1) Fight the urge to give advice; just listen. 2) If at first they don't succeed... let them try, try again. 3) Tell your teen to think before buying. 4) Model healthy financial behaviors your teen can follow. 5) Talk to your teen's school about efforts to reinforce financial lessons. Keep in touch with your Family! We get excited to share good news about the firms and people serving our clients. 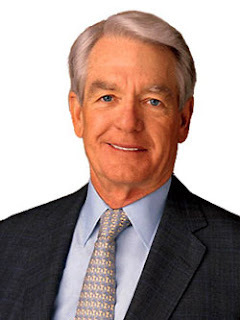 Charles Schwab was recently recognized by FORTUNE magazine as the #1 securities company on its list of "World's Most Admired Companies." Click here to view the full list. "We're proud of the recognition our peers and other business leaders provided in this year's listing. We know how important the elements of the list are, and ranking number one for our industry on five of the nine categories, including innovation, use of corporate assets, social responsibility, financial soundness and quality of products was rewarding. Our success as a business depends on our clients' trust and confidence, and these factors are crucial in today's environment to building and maintaining that trust." Family Investment Center has no financial relationship with Schwab, but they've been helping many of our clients since 1998. In fact, our clients hold nearly $70 million there. (We recently shot a brief video on client insurance and safety which discusses Schwab's $100,000,000 per account insurance coverage. Watch it here.) 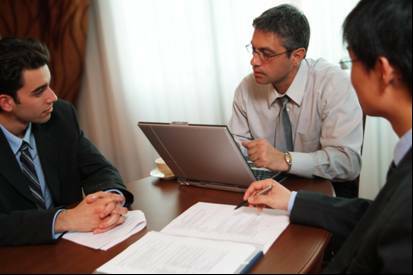 One key service we provide is helping clients choose top providers for their investment needs. This type of recognition just confirms our selection processes. The advisors at Family Investment Center specialize in managing large portfolios ($100,000 or more) of traditional investments. They do, however, advise investors on a broad range of wealth management services. 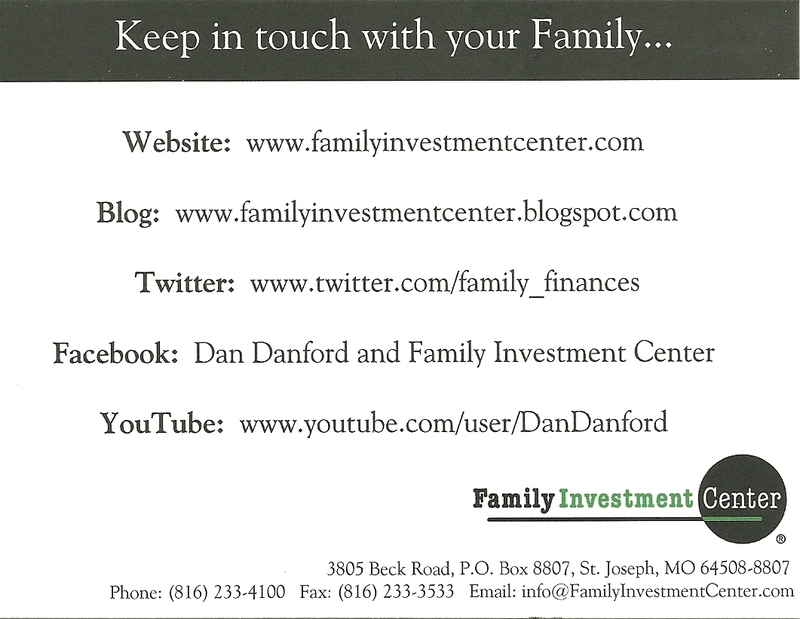 Family Investment Center is a commission-free investment advisory firm registered with the SEC. 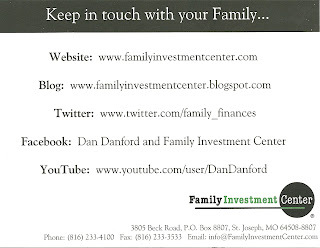 More about this unique firm can be found at http://www.familyinvestmentcenter.com/, on the firm's blog at http://www.familyinvestmentcenter.blogspot.com/, or on Twitter at www.twitter.com/family_finances. Visit them at 3805 Beck Road, St. Joseph, MO 64506 or call (816) 233-4100. Never tell children that their parents are wealthy. Kids who grow up thinking their parents are wealthy often learn to live like they are. Teach your children discipline and frugality. These are values held by most financially successful adults. Yet, kids can’t learn them on their own. Who will teach them if you don’t? Children shouldn’t realize you are affluent until after they have established a mature, disciplined, and adult lifestyle and profession. It’s better that they learn some things on their own. Minimize discussions about inheritances or gifts. Parents sometimes forget these talks, but children don’t. Many years later, these seeds can grow into large family conflicts. Never give gifts to adult children as part of a negotiation strategy. Bribes usually backfire with toddlers – and adults too. No one likes gifts with strings attached. Stay out of your adult children’s family matters. Adults make their own choices, and you should let them. All children resent interference. Don’t compete with your children. Adult children sometimes hold different financial values than parents. Money may be less important to them than other things – education, status, happiness. Let them be. Remember that children are individuals. Don’t try to equalize nature’s inequality with money. It rarely works, and siblings resent it. Respect each child separately. Emphasize achievements, no matter how small. One parent taught his son, “I’m not impressed by what people own. But I’m impressed with what they achieve.” Guess what? The son achieved a lot, including financial success! Tell children that there are a lot of things more valuable than money. Most of us know this, but few emphasize it. Yet, it’s one of life’s most important lessons. How can anyone be happy without this knowledge? I grapple with these issues regularly. All of us learn early financial values from our parents (even by default). Most of my clients learned both good and bad at the “family school.” Sadly, some never overcome bad lessons. I'm trying to learn how to invest and I've heard that I need to do a cost-benefit analysis of my options. Could you explain this more and how I'm supposed to use it? Is there a formula I should be looking at? Danford, MBA, CRSP, of Family Investment Center, explains how to perform a proper cost-benefit analysis and the importance of knowing what you are trying to accomplish financially. "In your previous episodes you have mentioned Dave Ramsey a couple of times. I was wondering who are other financial advisers you really respect and why do you think they are better than the rest of the field?" Danford MBA CRSP of Family Investment Center shares several of his favorite advisers and what financial advice you can get from each one.